There are so many interesting avenues for international students to consider when studying architecture, how does one figure out which way to go? The first step is to choose between commercial or residential architecture, restoration or even consulting. The differences between these careers in architecture are vast and equally fulfilling for any international student studying architecture in the US. Selecting a career in architecture presents many challenges and opportunities. As the world becomes smaller in terms of how businesses run globally, it is very important for international students to choose a career that is in demand anywhere in the world. So, what are the options for an international student seeking a career in architecture? Depending on your goals—wealth, fame, recognition, or simple creative expression—you should be able to find an architecture job that fits. If you want to work with businesses and enjoy the thought of creating a lively and artful workspace for the corporate world, commercial architecture is a good choice. In commercial architecture you will express your creativity in skyscrapers, hospitals, malls, and other corporations. The US Bureau of Labor Statistics claims that there will be a continued need for green design, or sustainable design, that will promote energy saving and earth saving techniques utilized in design. 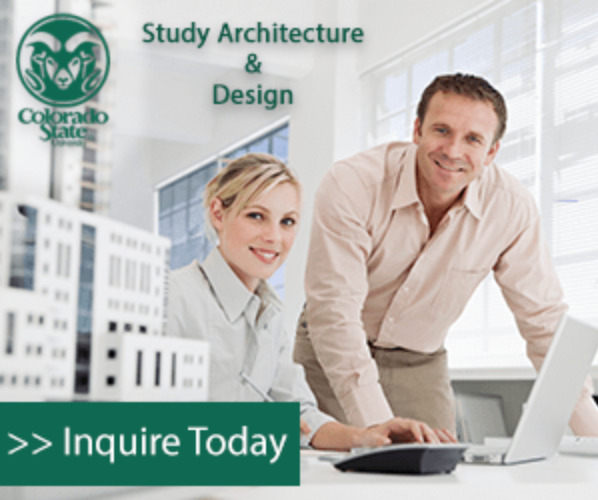 Another avenue that an international student studying in the US may pursue is the residential section of architecture. Again, utilizing sustainable resources to provide green housing is in high demand currently. Residential architecture jobs include the ability to completely satisfy the potential inhabitant with a dream home—either in a beautifully designed sky-high apartment building or in a creative and comfortable single family home. Studying residential architecture is a warm and exciting option because of its often personal and frequent contact with the homeowner. You have the opportunity to bring their dreams to life in a way that could not otherwise be done. Within these two general career options there are multiple avenues and continued research and focus that is needed. Bear in mind that outsourcing projects is not very popular these days. Working for a highly regarded and influential architectural firm guarantees you status and success at all levels—though these firms are often utilized nationally, not internationally. Another important factor is that a career in architecture is closely connected to the construction business. The US Bureau of Labor Statistics stated that it is “strongly tied” to the rise and fall of the construction business. If there is no building needed there will not be many architectural needs. What do you do if the economy holds construction and architecture back? Consider the other options within the field of architecture. For example, teaching architecture. Even if the US or other countries are not spending their finances on building new structures or even restoring the old ones, students still want to learn about architecture and to practice their creative skill in the classroom. Teaching is a great way to share your passion and interest in designing buildings. Restoration is yet another avenue you could take as you seek a career in architecture. Restoring the historical arches and detailed carvings of ancient buildings, structures, monuments and landmarks allows you to make your mark creatively on something that has long stood as an emblem of the past. Cherishing the antiquity and sincerity of century old homes or even sacred cathedrals bring a resounding applause to modern culture. This type of architecture job will in turn be a timeless option. Consultation and planning is more of a ‘hands-off’ position in which others would consult and discuss ideas for projects with you. You would provide your expertise and objective knowledge of what is best for the space and the client. Being an architectural consultant has advantages and disadvantages. It is a positive position in regards to assisting in the process and ‘brainstorming’ stages. You will also have a direct impact on the success of the project because of your insights. In the same vein, if the project fails as an architectural piece, then you will be negatively associated with it. As an international student this option is good for many multinational projects that may be part of your future as an architect. There are unlimited resources for researching and narrowing down what architecture job is right for you. Be sure to check the advantages and disadvantages of your chosen field carefully. You can continue to utilize the vast array of Internet websites that explain the details and inner workings of the optional careers in architecture. Learn more about studying architecture and design in the USA by reading our growing article collection. « Study Guide by Subject	« Study Architecture and Design in the U.S.